Why Is The Petersen Selling Part Of Its Collection A Big Deal? 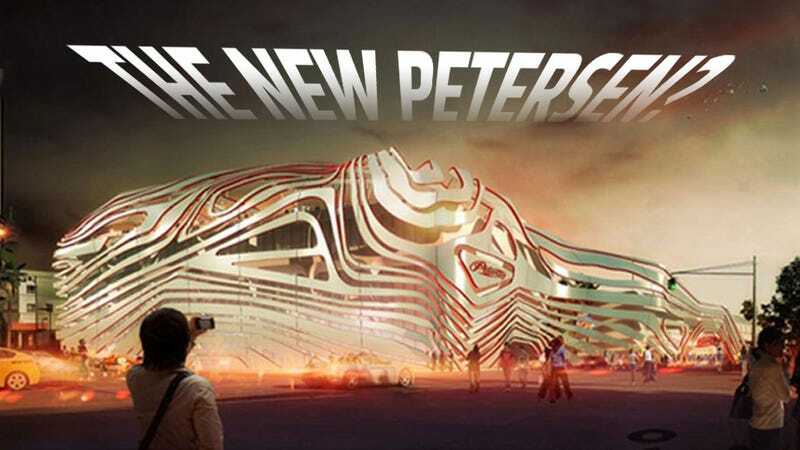 Last week, we reported on the Petersen Museum selling off part of its collection to raise funds for a major upgrade program to the museum and its facilities. While I took issue with the way an LA Times story portrayed the direction of the museum, a follow-up article about the ethics of the sales brings up some valid points. "You are only supposed to use the proceeds from deaccession to add like items to the collection or for direct care of collections,"
according to Sally Yerkovitch, quoted in the Times article. Now, nothing the Petersen is doing is technically illegal, but there are some ethical issues to consider here, especially since the Petersen is a non-profit institution who's stated goals are to serve the public interest. To help clarify, I contacted a friend in the museum world, and while they'd prefer to remain anonymous, what they told me helped put things in perspective. Essentially, the issue is that the public, while they don't really get a say in things, as such, should be able to see and access the collection. That's what many of the donors had in mind specifically when they donated their vehicles. But when cars go on the auction block, they could easily end up in private collections, and the public will never get to see or encounter them, which goes against both the public interest and the desires of the original donor. Also, when a work of art (or in this case, an important car) is donated, they get a tax break because the public gains access to the work. So if the work is then sold to a private collector, that invalidates the original intent of the tax break, since the public no longer has access to the car. It's tricky. The Petersen's not part of an overarching regulating body, and in the end they can do what they please. The end result may in fact be a much stronger museum as well, with an improved collection. But that still doesn't change that these decisions were made without any public notice, and for an institution designed to server the public, that could be problematic. People will disagree with some of the cars being sold — there's no way around that. Maybe things will turn out great, and maybe the museum will fall under the control of a charismatic lunatic who wants it dedicated to the Saturn brand, even if he has to fabricate, at exorbitant cost, examples of an unknown 1948 Saturn Ringstrider coupé. The article also references drawings of a proposed new facade of the museum, saying it will "evoke Art Deco themes." That looks more 3D contour map than Art Deco to me, but it does hint at cars and speed, at least. It's also got a sort of dazzle ships-thing going on there, so it's probably safe from torpedo attacks, too.